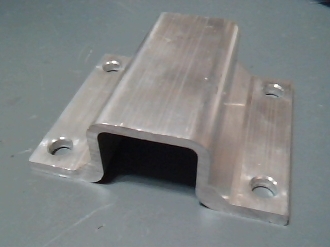 Channel is 2 x 2 inch, for Boat trailers or any Super Heavy Duty Purpose. They weigh 1.6 lbs each. Select Total Piece Set desired from 2 to 10, then select Quantity 1,... or Quantity 2 to Double the pieces set.